Klara who knitting a lovely mittens gave me her knitting needles for me. by her grandma and mom in Sweden. I love watching handicraft tools. when I find beautiful handicraft tools. 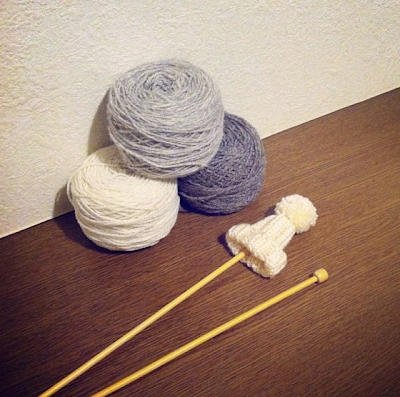 knitting needles from Sweden instead of me. And she kindly gave me her 2 pairs of knitting needles. I am very thankful to Klara that she accepted my selfish favor. and it makes me very very happy. Klara's mittens are very beautiful and colorful. She knitted a pair of mittens for me,too and it is very lovely. I will show it to you in near future on this blog. My mittens dyed by a wild flower called Hundloka. The color is very beautiful light yellow. putting Klara's mittens this winter.